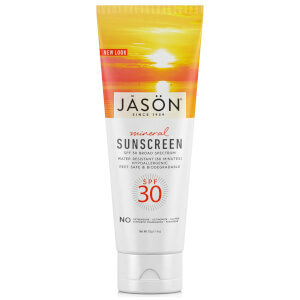 Protect your skin from harmful rays the natural way with the JASON Mineral Sunblock SPF30. Hypoallergenic and extremely gentle for very sensitive skin, this skin essential is perfect all year round. 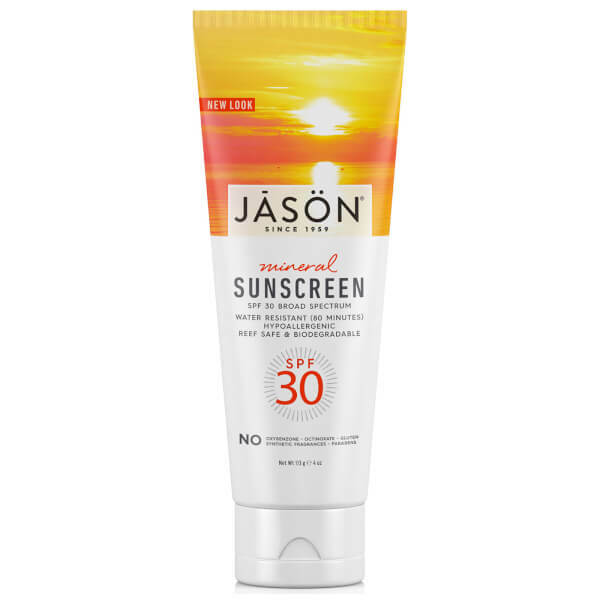 An all-mineral sun screen that is chemical and fragrance free, JASON Mineral Sunblock SPF30 provides UVA and UVB protection and creates a natural barrier to protect skin against sun burn. The easy-to-rub in formula won’t leave a white film on skin like most mineral sun screens do and is hypoallergenic, making it ideal for sensitive skin. It is also safe for use on babies over six months of age. Apply sunscreen liberally to all exposed skin area 15-20 minutes before sun exposure. Reapply as needed or after towel drying, swimming or sweating.